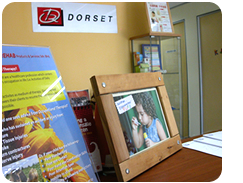 DORSET REHAB Products & Services Sdn. Bhd. Dorset Rehab Products & Services Sdn. Bhd. was established in 1998 with a mission to assist our customers to enjoy optimum quality of life by maximising their independence in their lives through application of various treatment methods. Here at Dorset Rehab, we provide both in-house treatment and various rehabilitation products. It is therefore important that our customers receive adequate and appropriate healthcare services. Occupational therapy and physiotherapy play important roles in the customers’ rehabilitation process. Our customers undergoing rehabilitation will be empowered to re-establish their sense of independence with an accompanying increase in their self-confidence in coping with their usual daily routines. Occupational Therapy (OT) and Physiotherapy (PT) usually work together closely to ensure the individual’s abilities and capabilities are maximised. The difference comes from the focus of treatment. Occupational Therapy concentrates on regaining and maximising the individual’s function in the areas of self care, vocational and leisure skills while physiotherapy focuses on the client’s physical aspect i.e. increasing muscle strength, gait training, mobility skills. Fine motor - handwriting, finger manipulation, dexterity, coordination of movements. These skills are refined further and put into purposeful daily activities of our life such as opening cans, donning a shirt or making a sandwich etc. Dorset Rehab work closely with several medical centres and education centres within the Klang Valley where our services are extended to compliment the existing rehabilitation and education services available. We envisioned that Dorset Rehab will be a one stop centre where many more services will be made available to all walks of life. Dorset Rehab also produces quarterly newsletter for our existing clients to increase awareness and knowledge of various medical conditions. These newsletter are compiled from various sources of information and our therapists' experiences. You can view some of our past editions of newsletter. If you would like to be a part of FDR, just simply click here, It's free! © Copyright 2007 Dorset Rehab Products & Services Sdn. Bhd. All Rights Reserved.